A father used his son, Jonathan Crane for illegal experiments testing fear. In a middle of a test his father died and Jonathan was left in a pit stuck for some time starving. Once he was taken out he decided to become a master of fear creating a fear toxin and becoming the Scarecrow. Quentin Beck was an illusionist and a master at stage effects. He was also a great magician, hypnotist and learned combat as a stuntman. Afraid of not prevailing in the film industry he over heard someone joke that to break into film you must defeat a superhero and Mysterio was born. How dumb did this guy have to be? Doesn’t he know no actor ever did that? High Technology -attach to surfaces, springs on boots, gases & more! This battle is very interesting because we have two masters of gases. Hmmmm…….that sounds weird. Well while we’re on gases lets’ start with that. Scarecrow has 2 options to utilize his fear toxin. One with aerosols/sprays or syringes attached to his hand. 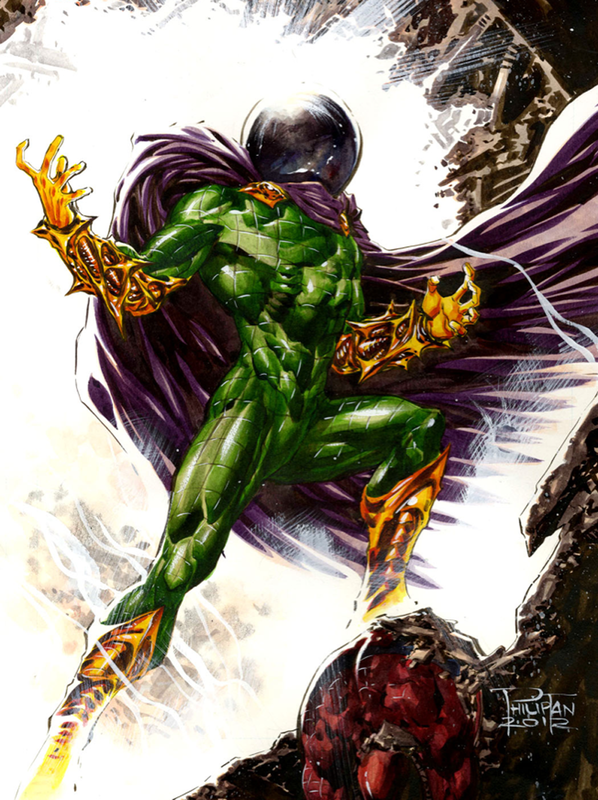 Mysterio has a fish tank on his head that supplies it’s own air to protect him from his own and in this case Scarecrow’s gases. That’s one hell of a personal bubble! So the remaining option Jonathan Crane needs to defeat Mysterio is his syringes that will stab through his costume. Now, let’s see if Mysterio can scare his opponent to death. And yes, I’ll stop with the unbearable puns. 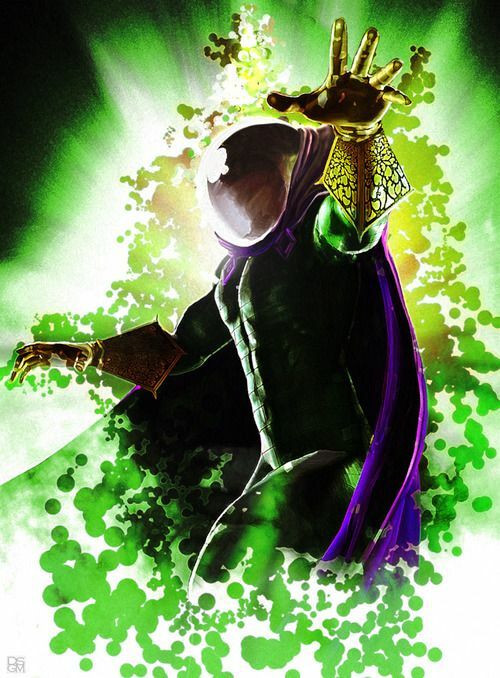 Mysterio’s gases are made up of the chemical known as hypnogens and hallucinogens. Scarecrow is immune to chemicals, but only his own. Luckily for Crane his fear toxin is made up of hallucinogens although, not hypnogens. So 1/2 gases will work on Scarecrow, but it won’t be as effective as Mysterio would have wanted but Quentin does have hi-tech and 3D holograms to help him with the believably. In the end we can state the winner is definitely Mysterio and here is why. Mysterio is protected from gases thanks to his bubble head. That’s been talked over before meaning Scarecrow has to get close to Quentin in order to implant his toxin. The chances of that succeeding are low since Mysterio has his machines, obstacles, faint smoke, acid smoke or even paralysis smoke to thrown at him. 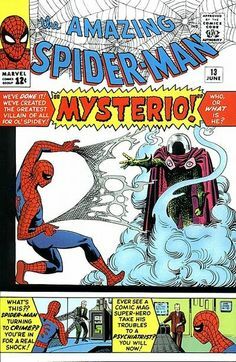 Scarecrow isn’t Spider-Man and getting close to Mysterio will be a tough thing to do ]even if he eventually does get close, Mysterio has a self-defensive system when an opponent makes contact with him (knock out gas, electricity, lasers). Scarecrow is a good fighter when it comes to using a scythe, but Quentin Beck is a great hand-to-hand fighter himself. Hopefully you agreed with my ruling and if not tell me why you disagree. Be nice in the comments and check out some of my other posts on ComicBooger.com! Teaser for Next Week: It’s Gonna Get Cold! As a lifelong Marvel fan and someone who’s adored Spidey since I was four…is it weird I was pulling for Scarecrow?? Looking at the two, side by side as you set them up, Scarecrow is just the far creepier villain. But your logic is 100% sound. 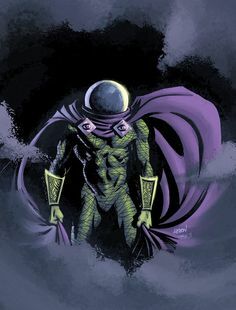 I really enjoy the fact that Mysterio won, in large part, due to the fishbowl on his head which I always thought looked so silly as a kid :). Also, your line about him becoming a super villain because he misunderstood a joke was PRICELESS!